It’s nearly that time again — New York International Bridal Week April 16-18, 2016. Follow Masako Formals on Da Bridal Blog, Facebook, and Instagram for images and updates on the world’s best bridal designers’ Fall 2016 collections. At Masako Formals we have seamstresses with decades of experience specific to bridal alterations and customizations. Bustle – the answer to what to do with your wedding train when it’s time to party. 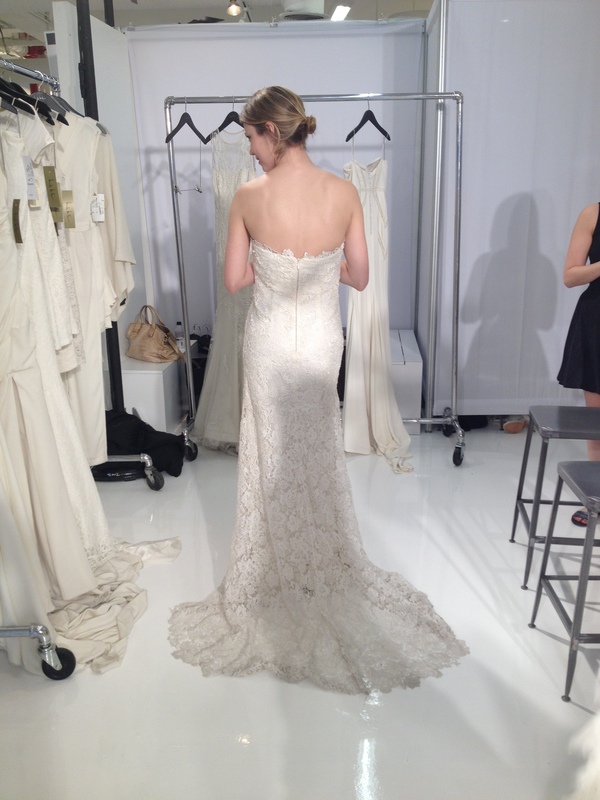 The bustle is the button or pearl and loop alteration that allows you to hang up the train onto the back of your dress. Bust support – generally, bra free is the way to be. Sewn-in cups give you invisible, easy-breezy lift and support. Change back closure – change a zipper into a corset back or vice versa. Add custom straps, sleeves, or a belt – make a dress that no one else has! We can add capped sleeves or straps to give you more coverage and support. Adjust the dress silhouette – love an A-line dress but wish it were more form-fitting? You can have it altered into a fit and flare or mermaid style dress. Below, our bride adds custom off-the-shoulder lace sleeves and makes her A-line dress into a trumpeted silhouette. When you are looking for the dress it’s helpful for be able to describe what you like and what you don’t. Here’s a list of common wedding dress silhouettes. A LINE – the most classic dress silhouette – fitted along the bust and then lets out at the natural waistline. BALLGOWN – a version of the A Line, the ball gown lets out at the natural waistline or above the hips with a full-volume skirt, often created by layers of tulle. EMPIRE – a dress fitted only at the bust, letting out into the skirt just below the bust. SHEATH – a dress fitted through the hips and then lets out straight to the floor with little volume. MERMAID – a dress fitted through the bust, waist, hips, and thighs, letting out just above, at, or below the knee. TRUMPET – similar to but slightly more relaxed than the mermaid, the trumpet is fitted through bust, waist, and hips, until the skirt flares out along the high or mid thigh. TEA LENGTH – a shortened ballgown dress that ends below the knee/ mid-calf. HIGH-LOW – can refer to any silhouette dress where the front of the skirt is higher than the back. Karen Willis Holmes is a boutique wedding designer from Australia, with an appreciation for what the modern mermaid wants in a wedding dress. White beading and sequin details, and varied arrangements of simple shell dresses and lace overlays, make her dresses uniquely jaw-dropping. For more pics see our Brand New! page or visit Karen Willis Holmes online. 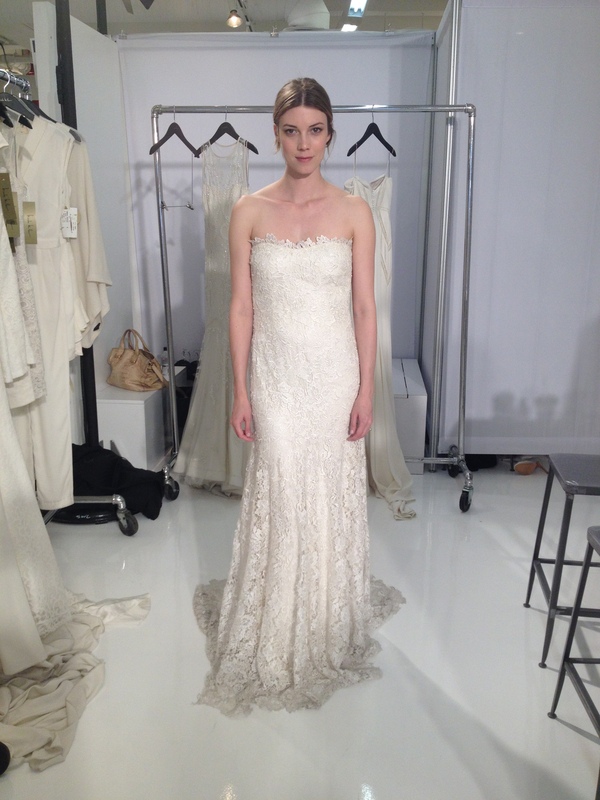 New York designer Nicole Miller delivers all the grace and simplicity she’s famous for in her 2015 Bridal collections. 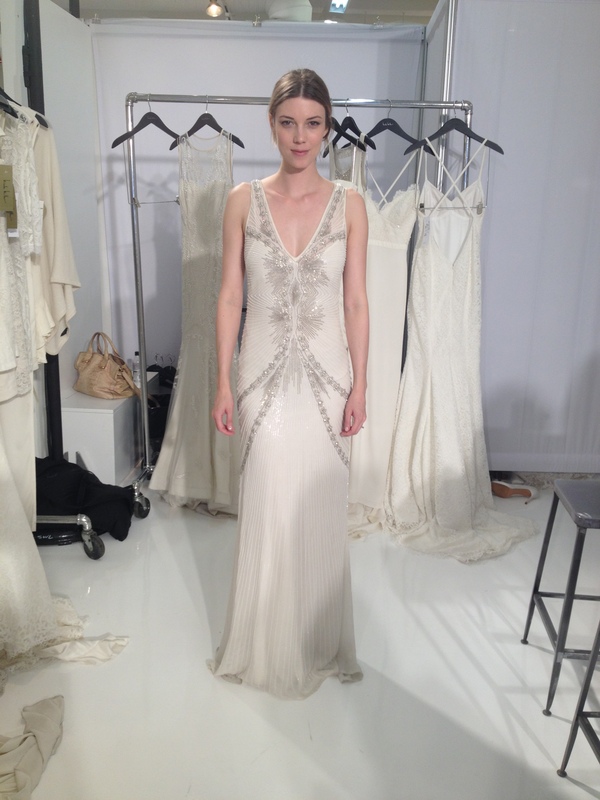 What you’ll see from her Fall 2015 Bridal collection? – new plays on low back wedding dresses, some incredible work with illusion neck and backlines, and some fun short wedding dress styles.